Though a number of Windows 8 Transforming laptops are talk of the town now a days but best Gaming laptops are always in demand by game lovers. Some gaming laptops with astonishing specs and features and best gaming functionality are also hitting the laptop market. Samsung also announced its two Windows 8 upgradable Series S5 and S7 gaming laptops that comes preloaded with a utility named Samsung Fast Boot. These gadgets have great potential for pulling out the consumers by their best performance. Newly announced Series 5 ultrabook from Samsung is packed with Ivy Bridge i5 processor runs on Windows 7 capable to upgrade to Windows 8. The extremely classic looking gadget is decorated with gray matte aluminum finish and owns a nice keyboard having proper space around big keys. This Samsung laptop is configured to provide best gaming facilities to game lovers. Samsung uncovered its 14-inches display full HD Series 5 ultrabook. The device has non-reflective, bright, natively display screen with 20% brightness with 1366 x 768 pixels resolution and NVIDIA GeForce GT620M. The Samsung machine runs on the 64-bit windows 7 operating system which is eligible for windows 8 upgrade and also power up by Intel's core i5 3317U@ 1.7GHz processor coupled to 6GB RAM. 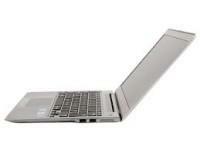 The Series 5 Samsung ultrabook is coming with multitasking capability of 1TB HDD (Hard drive) and 24 GB flash memory. The laptop machine already comes preloaded with a utility named Samsung Fast Boot. This Windows 8 upgradable product supports multiple connectivity ports like 2 1 USB 2.0, USB 3.0, Optical drive and HDMI output. The machine comes loaded with internal battery which provides up to 5 hours battery backup for users. Samsung has provided its users a very nice keyboard with much bigger keys then other gadget's keyboards. The Samsung fixed price of its 14-inch Series S5 Ultrabook model at $799.99 where for 15.6-inch model will go for $899.99 for its consumers. Series 7 is another Gaming Laptop from Samsung that also runs on Windows 7 upgradable to Windows 8 and powered up by Intel core i7 processor. 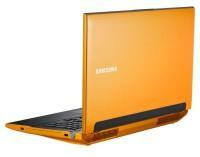 Series 7 laptop is yellow 3D gaming laptop from Samsung which is really expensive like its huge size. The big laptop shall swap out current GPU for an AMD Radeon HD 7870M. The laptop owns blazing processor, glossy screen, better graphics and many more features which makes the laptop among one of the best gadgets in market. Newly uncovered Series 7 laptop from Samsung features 17.3 inch 3D LED glossy display and 1920x1080 pixel of resolution, higher performance GPU for an AMD Radeon HD 7870M, 400 nit of brightness and excellent wide viewing angles appearing positively fantastic. The best Samsung laptop machine runs on the 64-bit windows 7 also upgradable to Microsoft's upcoming windows 8 OS. The machine is powered up by quad-core i7 3610QM CPU running at 2.3GHz speed and 16GB of RAM (1,333MHz DDR3). The Samsung device has multitasking ability and having 1.5TB HDD (Hard drive) with 7,200 rpm (2x750 GB) storage with 128 GB SSD for quick booting also comes preloaded with utility called Samsung Fast Boot. Devic also has 2.0MP Webcam. For connectivity, Windows 8 machine from Samsung holds a Wi-Fi antenna for wireless internet, stereo speakers, keyboard backlighting, powerful sound for gaming and watching movies), audio mute, subwoofer (underneath offer up loud, 5.1 and 7.1 channel audio to connect with an external speakers or receiver and YouCam software. The Samsung Series 7 laptop owns a superb keyboard having imminent number pad and backlit. Keys of this machine have concaved surfaces and cup your fingertips perfectly. Also there is a nice touchpad as good as keyboard for playing games for the users. The Samsung set price of Series 7 laptop at $1,899 for its consumers. Samsung's Series 5 and 7 both the ultrabook laptops are two of the best designed laptops with gaming functionality and have potential to pull customers in market. Though Series 7 ultrabooks appears to be oversized but best for gaming point of view and their well designed keyboards are also plus point. Both the ultrabooks are capable to upgrade to Windows 8 at $14.99 but with condition that the Windows 7 machine should be purchased by customer between June 2, 2012, and Jan 31, 2013. Recent news says that online registration for Windows 8 upgrade for such Windows 7 ultrabooks have already been started by Microsoft. I heard that Samsung laptops have a major complaint - it heats up so quickly when we play games. Have anyone else experienced the same? I am thinking about buying a gaming laptop from the Samsung brand but I am afraid of the heating problems. Also, does Samsung offer at home warranty? I mean, if my laptop fails during warranty period, will them come to my home and repair?